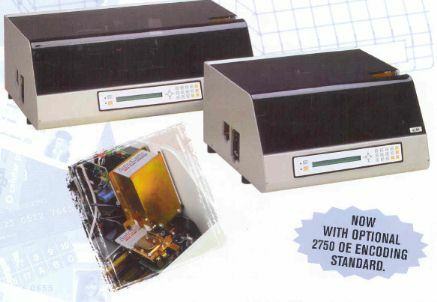 We Sell and Service the full line of plastic card Embossers, that will automatically feed and emboss plastic cards. All will work ON-LINE with your host system or Off-Line as a stand alone unit. They have add on capability of tipping or encoding the plastic card. Application of this machine includes Credit Cards, Hospital Cards, Social Group Cards, Gas Cards, and Health ID Cards. Embossing is the process of raised lettering for the purpose of printing the card. Most Credit Cards are Tipped in Black so that the letters are a different color.